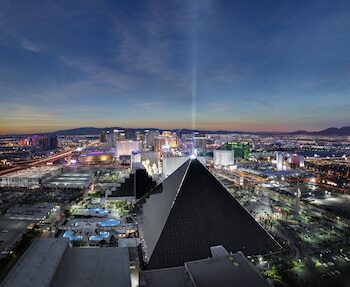 Book a Las Vegas hotel with us and get up to $100 Cash Back! Get $20 with a 3-nt stay! Get $30 with a 5-nt stay! Get $50 with a 8-nt stay! 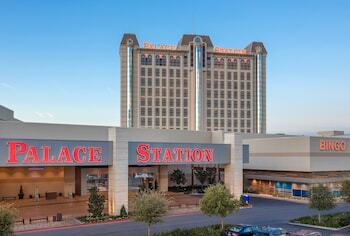 Get $75 with a 10-nt stay! Get $100 with a 12-nt stay! Offer is only valid for reservations booked online. Applies to reservations that state “cash back rebate”. Minimum booking amounts required. Just use our booking form and put in 3+ nights for your stay dates to see what hotels qualify. 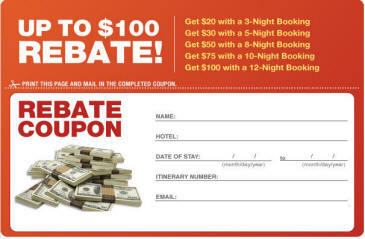 With our Guaranteed Lowest Vegas Rates and this Amazing Rebate Offer, Why Book Anywhere Else? Book Direct and Save! Hurry, this is a limited time offer and only offered while supply lasts.